After missing last months Daring Cooks Challenge I was really excited to get to this one. 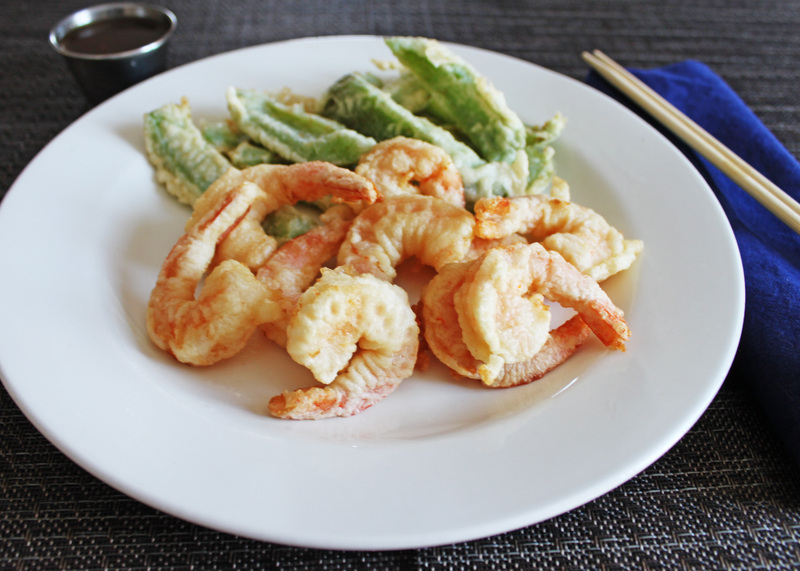 I joined the Daring Cooks as a way to broaden my cooking horizons and push myself, and tempura is definitely new to me. In fact, I’ve never even tried it before. When I read the recipe I realized it’s basically just deep fried seafood and vegetables. My track record with deep frying is just so so, but I thought I could do this. I followed Lisa’s instructions to make the batter, then started heating the oil. Then the oil started to smoke well before the thermometer said the temperature was right. I started doubting the thermometer. That’s when the smoke detector went off. I turned off the heat, ran to the smoke detector and started waving a towel at it until it stopped. I took the battery out of the smoke detector then went back to work. My mistake in all this was that I didn’t check the temperature of the oil again after the smoke detector went off. I don’t think it was hot enough because both the shrimp and peppers were kind of soggy. The moral of the story: take the battery out of the smoke detector before I start deep frying. 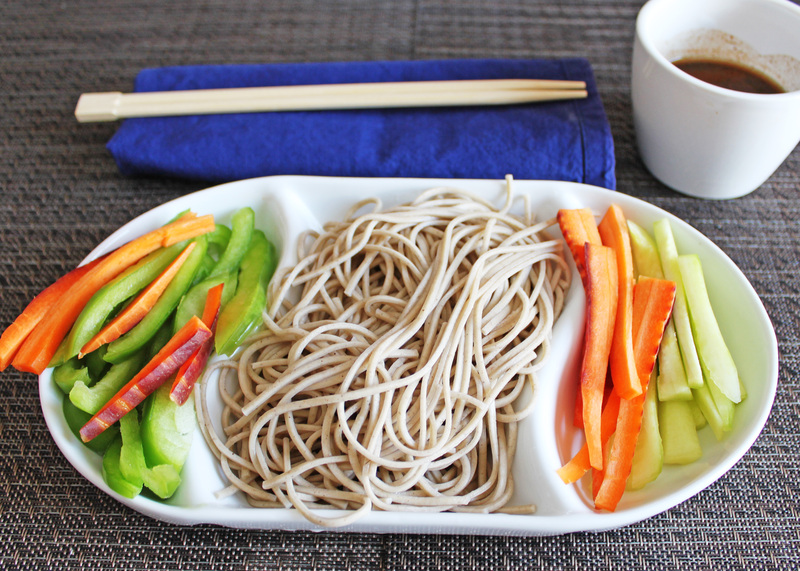 The second part of the challenge was to make a cold soba noodle salad. This part was less dramatic. I made the spicy dipping sauce to serve on the salad. I was a little disappointed with the sauce, I found it mostly tasted like soy sauce and sesame oil. Both are great flavours, bur I guess I was expecting something a little more complex. Since I think I kind of failed at this challenge, I’m just going to paste the instructions exactly as written. My tips and changes are only useful if you like soggy deep fried foods. 1. Shake all the ingredients together in a covered container. Once the salt has dissolved, add and shake in 2 tablespoons of water and season again if needed. Sorry to hear that you had so much trouble with the tempura and the noodles were only meh meh. Great that you did it which is the point of the challenges in the first place.